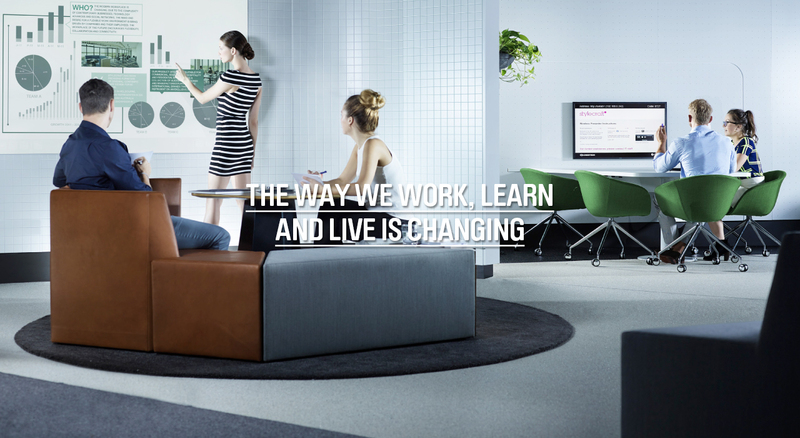 Work place change is being driven by companies and the needs of their employees. A desire for productivity and efficiency at any given time with any given task stems from advances in wireless connectivity, smart technology and social networking. Providing flexibility and encouraging collaboration, the contemporary workplace is zoned to accommodate a variety of user environments through the provision for learning, meeting and focus areas. This agile approach to the workspace contrasts with the tradition of employees arriving to a specific workpoint and can often be met with apprehension. Inhabit, The Experience Centre at Stylecraft, has been developed to assist with the transition to this activity based working environment. Inhabit, The Experience Centre at Stylecraft, affords user groups the unique opportunity to immerse themselves in a modern workspace. Inhabit has been zoned into collaborative, quiet, technology, work and breakout areas that allow for a variety of tasks to be accommodated in flexible, efficient and convenient surroundings. With the progression to an agile workplace requiring a shift in employee thinking and attitudes, Inhabit enables users to begin to conceptualise their future working environment. A workstation hub is the core of our Inhabit work zone, utilise your own device within your preferred activity point to accomplish day-to-day tasks. The light filled collaborative zone provides the ideal space for creativity, idea generation and interaction between team members. An informal area away from the dedicated activity points, the Inhabit breakout area provides the opportunity for light refreshments and casual conversation. Real time connectivity between multiple users through the use of wireless presenters and video conferencing, together with the interactive smart wall, encourages team based project collaboration in the focus zone. Quiet rooms and hubs provide essential workplace privacy whether it be for phone conversation, one-on-one meetings or for individual time to focus. Upon arrival to Inhabit you will be welcomed and provided with a full induction by our concierge. From this point you are invited to commence your regular working day while enjoying breakfast and refreshments in our breakout space. As your team and their tasks will be varied, your user group may be divided for your Inhabit experience. Utilising your own lap top, tablet or mobile device take advantage of the latest in plug and play and interactive technology in the various zones. Begin to see the benefits in removing the tie that binds an employee to their desks in our light filled collaborative area that encourages users to share, discuss and network. The separate work zone allows a user to attend to everyday tasks while privacy can be sought in our quiet rooms and hubs.